More than 7,400 tickets were given out for failure to stop at a red light. In all, law enforcement issued 161,598 citations for 2017. Many drivers accepted the ticket, not realizing that there are more serious implications beyond paying the fine. A skilled Florida traffic violations defense attorney can tell you more about your options for fighting a ticket, but here are some consequences you can avoid when you have legal help. Reduce Fines for a Traffic Citation: The exact amount of your fine will depend upon the violation and the county where you received it. However, you could be paying a few hundred dollars when you consider court processing fees and surcharges. If you opt for the driving school election to avoid getting points on your record as described below, you will also have to pay for the courses. 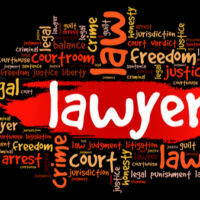 A lawyer may be able to help reduce feels and related costs through plea bargaining or working toward lesser charges. Six points for leaving the scene of an accident or being in a crash where you were speeding. Your driver’s license suspension could be one year for earning 24 points within a three-year period. With the right defense strategy, you could avoid having points accumulate on your record or may qualify for a lower number of points. Keep Your Insurance Rates Low: As a collateral consequence, you should note that traffic violations could impact your insurance rates as well. A ticket, accumulation of points, or driver’s license suspension makes you a higher risk for the insurer that provides coverage. In the eyes of the insurance company, there is a greater chance that you could cause a serious accident because of your failure to comply with traffic laws. The insurer may increase your premiums, your deductibles, or both, as a way of protecting its interests. If you received a traffic citation in Florida, there are ways to handle it besides pleading guilty and accepting the fine. Please contact Fort Lauderdale attorney Kevin J. Kulik for more information on your options. We can explain more about your options after reviewing the details of your case.